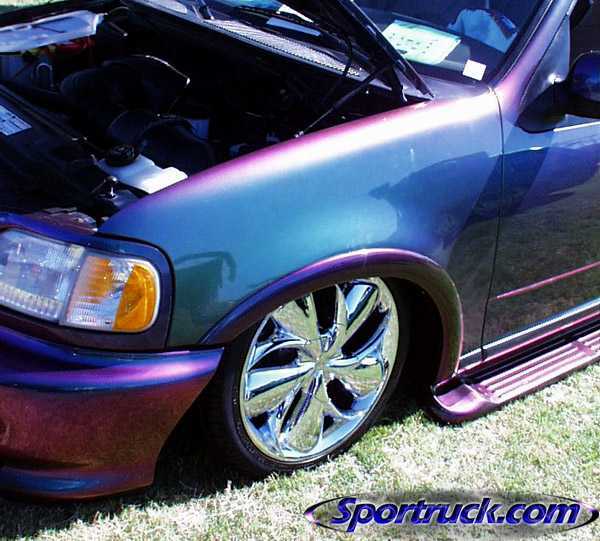 This expedition truly stands out in a crowd with its gigantic scale and dazzling paint job. It changes color from red to blue to green depending on the angle of view. 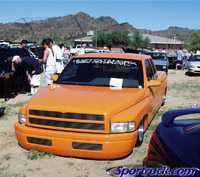 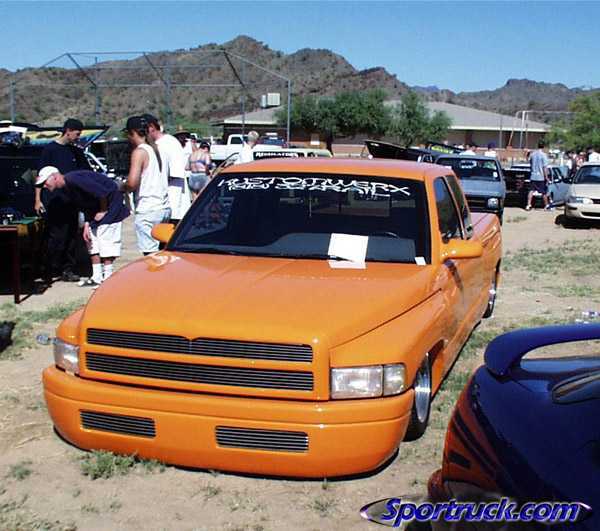 Speaking of body-dropped trucks, there were plenty on disply, including this outstanding Dodge Ram. Here's a look at some recent work from the Hack Shack, just one of the many custom shops and vendors that was in attendence at the show. 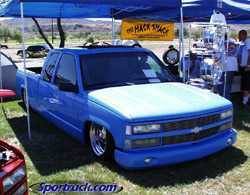 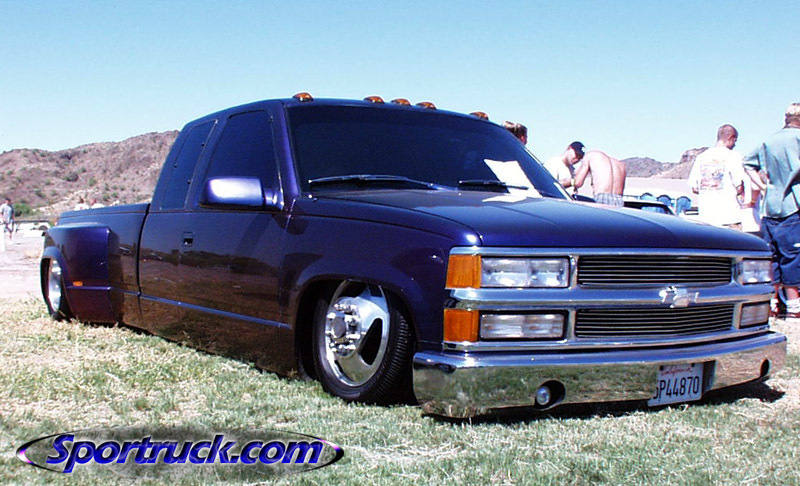 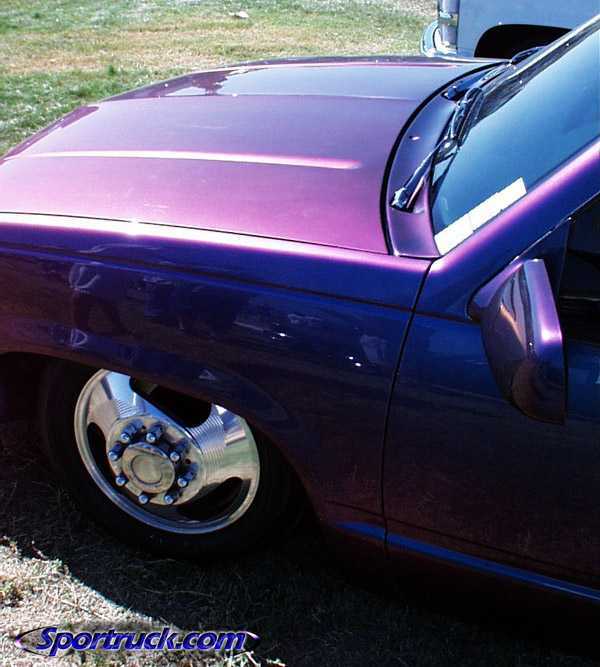 They put the body drop on this Chevy. 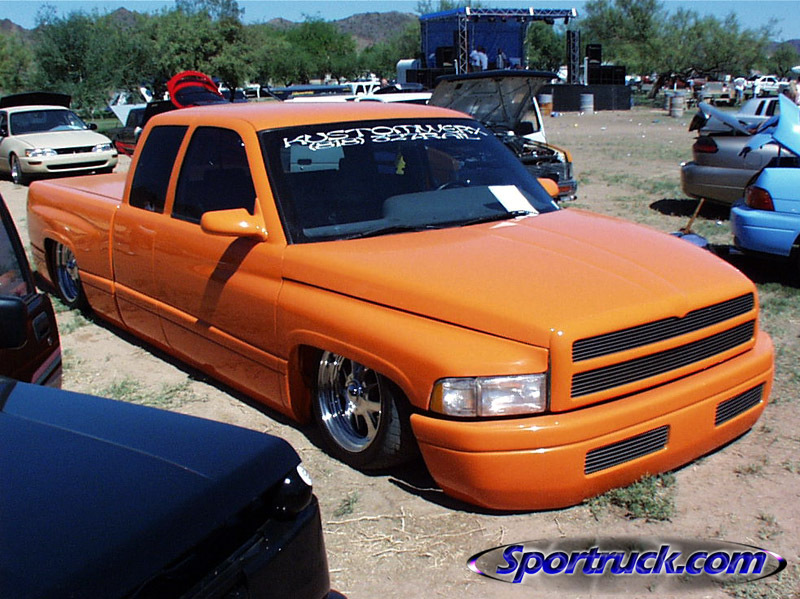 And to round-out the body drop category, we bring you this late-model Ford Ranger.